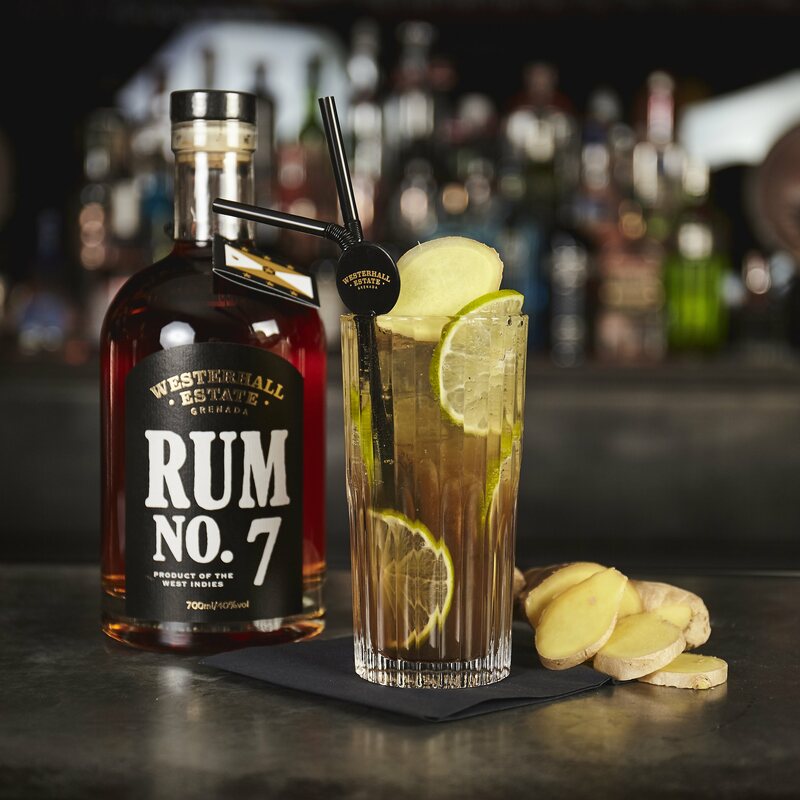 An award-winning 7 year aged rum from Grenada, the Spice Isle of the Caribbean. Seven long years this rum is aged for, and it shows. The aroma, texture and flavour are robust and interesting - hints of spices are complemented by strong molasses and a touch of caramel. It works wonderfully with tropical drinks or mixers on ice, but can also be a fantastic winter warmer with ginger wine by a roaring fire. Blended on the island of Grenada using a family secret recipe that has spanned hundreds of years, the natural spices from the island give this rum an exquisite and unique taste that you wont find anywhere else.7 year aged rum from Grenada. From the Spice Isle of the Caribbean all our rums contain natural spices from the island. All our rums are in a glass bottle with a natural cork stopper and have a neck tie carrying a little message from the family who run the estate in Grenada.